Rossi improves by almost a second on Wednesday at the Valencia test but feels there is still more work to do to adapt to the Michelin tyres. 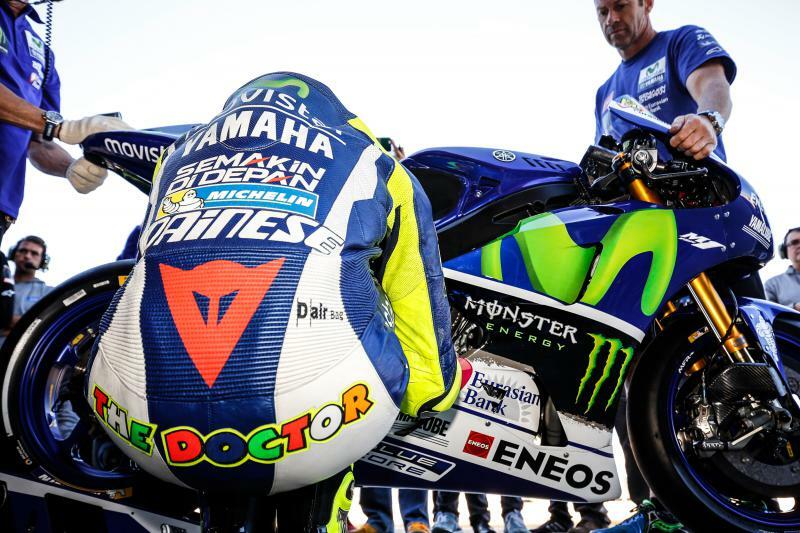 Movistar Yamaha’s Valentino Rossi ends the two-day Valencia test in seventh overall after improving dramatically on Wednesday. Rossi energetically tackled every item on the team’s schedule and completed more than two full race distances. As the day progressed he adjusted the settings of his bikes to match the Michelin tyres and clocked a personal best lap of 1'31.498 on lap 57, moving him up to sixth place, 0.438s from first. Rather than focusing on bettering his time, the Doctor ended the day collecting valuable data with a steady final run on the 2016 machine and was pushed back to seventh place by a late flurry of activity. I‘m quite happy because in the afternoon my lap times were not so bad. I did long runs to understand the tyres and I was always quite fast.